Alberta Premier Rachel Notley says she rejects the notion that a minimum-wage hike and carbon tax will hurt the provincial economy. Opposition parties have lambasted the NDP government for charging ahead with those two policies at a time when the province's economy is ailing. But Notley told reporters Tuesday that she believes most Albertans support the government's direction on those issues. On the minimum wage issue, Notley says her government is trying to strike a balance between supporting businesses and tackling inequality. On Saturday the minimum wage will rise by $1 to $12.20 an hour, gradually increasing to $15 an hour by 2018. An economy-wide carbon tax is set to take effect in the new year as part of a sweeping climate-change strategy that also includes a cap on oilsands emissions and the phase-out of coal. Notley said the tax, which will eventually reach $30 per tonne of carbon dioxide in 2018, will help diversify the economy and support the case that Alberta's energy resources should be developed and shipped to market. 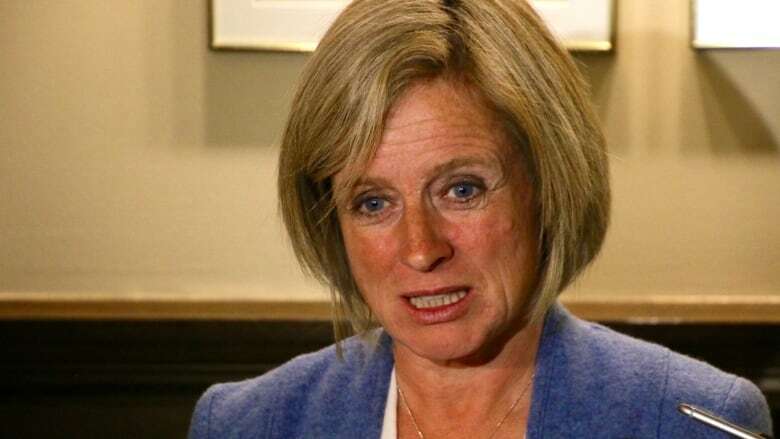 Ten months after the NDP government announced its climate-change strategy, pipeline proposals to the east and west coasts remain in limbo, but Notley said the tenor of the discussion has improved. "We're not sort of sitting in our own echo chamber talking to ourselves while the opponents to pipelines sit in their own echo chamber talking to themselves and nobody actually connects and finds any kind of alignment," she said. "So does that mean that right now a whole bunch of previous opponents are out there declaring their support for the pipeline? No. Does it mean that the conversation has improved in a lot of settings? Yes." For those concerned about the minimum-wage hike, Notley said a small business tax cut and various grants should help ease some of the burden. "We're trying to strike a balance between supporting innovators and business owners while at the same time getting rid of what is also an economy-killing level of inequality that existed in our provinces, where people who worked full time had to stop at the food bank on the way home because they could not possibly feed their families based on a full-time salary that we pay here in Alberta."